All the up to date details about the Cup of Fate. Just a friendly reminder of the upcoming tournament this Saturday. Wild Cup postponed to July 8th. We are delaying the Wild Cup one month. FiveShards presents the Sapphire Cup sponsored by Broombot (Season 5)! 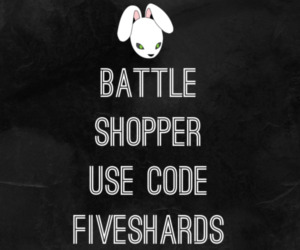 FiveShards presents the 5th Ruby Cup Sponsored by Battleshopper.com, April 9th! Details about the next FiveShards Cup, the Ruby Cup sponsored by Battleshopper.com. Help us make sure our tournament is set for Sunday. Tecnophi presents the Diamond Cup, Season 5! The finer details about Season 5's Diamond Cup, to come on February 11th. Shard Cup Season 5 and Blood Cup Details (January 14th)!